Cotswolds.Info is approached many times through the course of the year by clubs, special interest groups & associations, familes wanting to arrange a 'get-together' and even those wanting to organise a hen party looking for somewhere that has the space to accommodate and cater for larger groups that cannot be obtained in traditional Bed & Breakfasts or Hotels. To fulfill this need we list below those establishments that we feel will tick the boxes for your group of people requiring both accommodation and all the facilities that may be required. The Cotswolds is an ideal location to hold your special event and the establishments listed cannot be surpassed given their magnificent locations with stunning scenic views. The Estate is very well situated for gatherings and we host many group bookings at the weekend. We cater for all kinds of special interest groups from guitar weekends to history societies and yoga retreats. The Farncombe Estate is a stunningly beautiful 400 acres running down the side of the Cotswold escarpment above the villages of Broadway and Willersey. 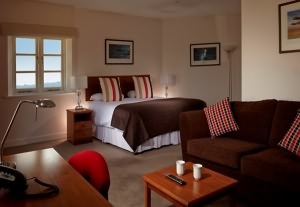 It has views over the Vale of Evesham past the Malverns, to the Wrekin in Shropshire and the Black Mountains in Wales. 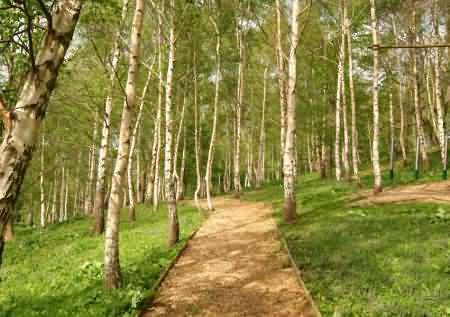 Farncombe is the perfect retreat: an oasis of calm and tranquillity, far away from traffic and urban centres. 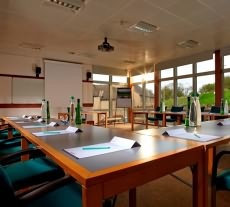 When it comes to events venue hire, we have 9 dedicated teaching and meeting rooms, plus a range of syndicate spaces and individual coffee lounges. Each room can be configured to create the right atmosphere. The largest seats 120 people theatre-style, while the smallest is ideal for groups of 10. Farncombe is also an ideal base for touring or walking the Cotswolds, visiting Stratford-upon-Avon, Cheltenham, Worcester, Oxford, Warwick and of course the quaint timeless villages of the northern Cotswolds. We have ample free parking suitable for coach groups, and our rates for Sunday night bookings are highly competitive. Our 89 en-suite bedrooms, all rated 4-star Guest Accommodation by Visit Britain, are arranged village-style across the estate offering your group to peace and privacy to meet/work in their own space. We offer six generous rooms with full access for disabled residents and eight Allergy-Free rooms that you can request on booking. Take a walk around the grounds where the views are both awe-inspiring and refreshing. For the more active there’s an activity trail. Plus, we have a fully-equipped gymnasium. Whatever you decide there’s no shortage of things to do. All our public areas are non-smoking. • Archery – try your hand at Archery with a bespoke lesson on the estate. We are perfectly situated for exploring the Cotswolds. We welcome Groups of all sizes looking for great value accommodation. We offer leisure group rates starting from just £70 B&B per room per night. Rose Briar is available to let at various times throughout the year. Welcome to Rose Briar, where a beautiful home awaits you with every luxury and comfort possible. Located 4.5 miles from the town of Stroud and approx 7 miles from Cirencester. Rose Briar is a luxury bungalow, offering a range of accommodation. There are 3 good sized bedrooms. Rosa, a family ensuite room with king size and single bed. Blush, a double ensuite room with a king size bed. Elle, a twin bedded room with it’s own full private bathroom. The Dining area and kitchen area are joined into one big family area. Rose Briar is fully equipped with all that you might require whilst on holiday. The large lounge has ample seating for all, which continues on into the conservatory. This which overlooks the south facing gardens, has extra seating so everyone can be comfortable. All rooms are spacious and on one level, making the property particularly suitable for the less-mobile; wheelchair users can move freely around the rooms. All rooms have Colour TV, Hair Dryer, Freshly laundered Sheets and towels. There is ample off road parking. Rose Briar has a beautiful quarter-acre south facing garden complete with Summer house, bar, children's play area, large patio with table, chairs and bbq. Rose Briar is very conveniently positioned for all the Cotswold Towns and Villages. Basic provisions are provided (tea, coffee, cleaning products etc) as well as all necessary utensils, crockery and linen (towels, sheets, tea towels, etc). We also have a range of things to keep the family entertained including toys, books, DVD’S, music library and games. Rose Briar is ideal for family and friends to stay together or for reunion occasions. Tariff Guide per night :- from £26.00 per night, per person.